Some people avoid the germ world at all costs, but the fact is that we are walking, talking petri dishes. Bacteria are involved in many processes in the body including digesting food, protecting you from illness, and absorbing and manufacturing nutrients. In fact, they are vital to good health. The human body contains trillions of tiny microscopic bacteria that are an essential part of our immune system. In fact, the gastrointestinal tract is home to the largest concentration and highest diversity of bacteria in the body. The GI tract contains the greatest amount of lymphoid tissue in the body, and it’s this lymphoid tissue that is responsible for synchronizing the defense strategies between the innate and adaptive immune systems1. Understanding this helps us to appreciate why good gut health is important for good immune health and in turn, good overall health. Many things can decrease the population of good bacteria in our bodies including medications, poor diet, nutrient deficiencies and stress. Drugs such as broad spectrum antibiotics not only kill the bad bacteria we want to get rid of but also the good bacteria in the digestive tract. While antibiotics are sometimes necessary, probiotics are an important part of supporting the intestinal bacteria during an antibiotic course, just make sure you take probiotics 2-3 hours away from antibiotics. 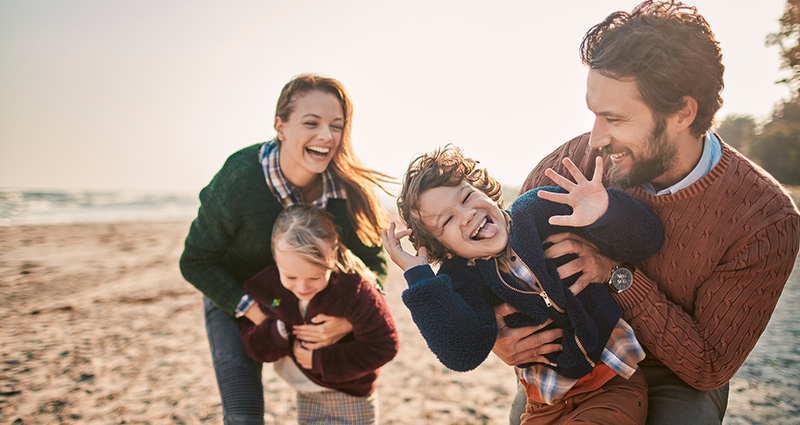 At Renew Life, we understand how a healthy gut can impact your overall health and taking a probiotic supplement every day can help keep your gut happy and healthy. Supplementing with probiotics is a guaranteed way of knowing you’re getting the friendly bacteria your digestive system needs. Ultimate Flora probiotics contain multiple strains of bacteria and the specific strains are clearly listed on the label and are guaranteed potent until expiry. You can’t say that about yogurt. And if you think yogurt is enough, think again. You would need to eat at least 10 canisters of yogurt daily to obtain the amount of beneficial probiotics in a single dose of Ultimate Flora Kids Probiotic. It is a delicious chewable probiotic for kids. Each tablet contains 10 billion beneficial bacteria from 9 different strains. For adults there’s Ultimate Flora Critical Care which has 50 billion friendly bacteria comprised of 10 different strains. The capsules are enteric coated to protect the probiotics through the harsh environment of the stomach so the probiotics get to where they need to go. It’s a much easier way to get your probiotics and lighter on the wallet compared to 50 servings of yogurt a day! Taking care of your digestive health is one of the most profound things you can do for your overall health. You take a multivitamin every day to fill the holes in your diet; think of probiotics as a multivitamin for your gut! By Caroline Farquhar, R.H.N., B.A. 1. California Institute of Technology. (2013). A home for the microbiome: Biologists identify how beneficial bacteria reside and thrive in gastrointestinal tract. Available: https://www.sciencedaily.com/releases/2013/08/130819171824.htm. Last accessed 12 April 2018.